San Diego Combat Academy is for everyone. 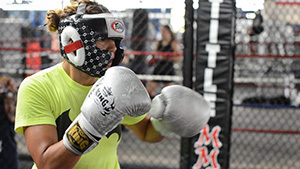 Whether you want to fight, workout, or get in shape, we'll train you from the ground up. It doesn’t matter what age or skill level you are, we’ll take you where you want to go. With locations in San Diego, Oceanside, Spring Valley, and Poway, we provide world class training in 10th Planet Jiu Jitsu, Boxing, Mixed Martial Arts (MMA), Kickboxing, Yoga, Strength and Conditioning, and Kid’s Programs. 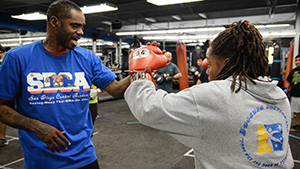 If you want motivating workouts in a class setting, SDCA is for you. Our community of members and instructors are here to help you reach your goals. We pride ourselves on providing nothing but the best instruction in San Diego. All of our classes are taught by professional competitors. We have classes all day to fit anyone’s schedule with training in mixed martial arts, jiu jitsu, boxing, kickboxing, and strength and conditioning. Not only do the best teach here, they train here. SDCA is home to the 10th Planet Freaks, Team Hurricane Awesome, and Tiger Smalls Boxing. We are honored to be named the 10th Planet School of the Year for the fourth year in a row! Ilima-Lei Macfarlane defends the Women’s Flyweight World Title! !